New Managing Director of Brickhouse Holdings LLC. and CEO of GoGo Cast Inc.
PROVIDENCE, RI (PRWEB) July 18, 2011 – Brickhouse Holdings LLC. (www.brickhouseholdings.com), a new management and holding company, today announced the appointment of David R. Paolo, GoGo Cast President and CEO, as Managing Director of its newly formed $10 million Rhode Island Technology fund. 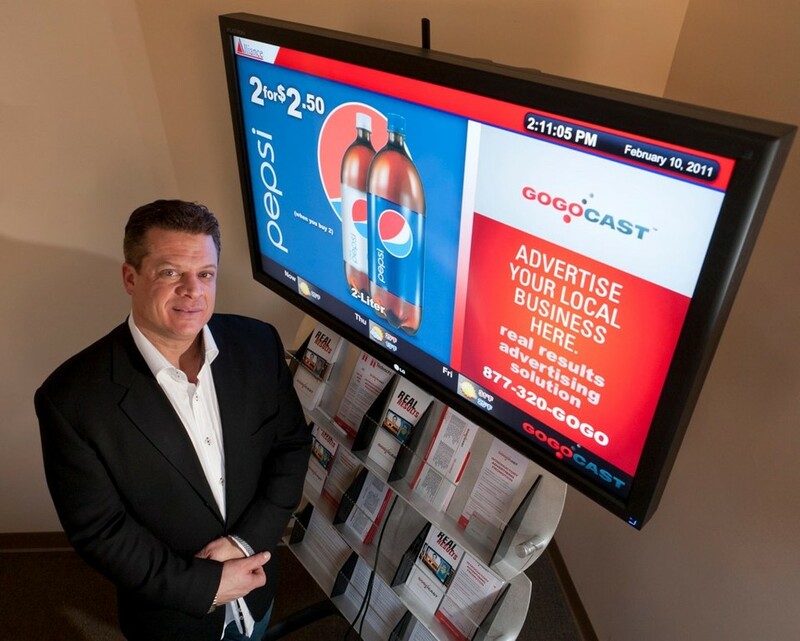 Mr. Paolo will remain President and CEO of the industry leading Digital Out of Home (DOOH) Company, GoGo Cast Inc. Brickhouse Holdings LLC. will utilize Mr. Paolo’s 20+ years of experience as a technology leader to help grow the high-tech sector in Rhode Island. Brickhouse Holdings has created a new model for the conception and funding of incubation stage companies. By utilizing what Brickhouse calls Investment Pods ™, the company will provide technology start-up businesses with early stage seed financing as well as financial management, technology guidance and facility resources. Creating a collaborative of new technology companies in the Rhode Island area will give innovative businesses the opportunity to take advantage of a number of shared resources including, financial management, technology executives and engineers and facility utilization. “Brickhouse Holdings is thrilled to have such a seasoned well respected industry leader like Mr. Paolo head up their technology funding in Rhode Island,” said Paul Hummel Co-Founder and Equity Partner of Brickhouse Holdings. “Mr. Paolo’s history of creating and building successful businesses and most recently his work navigating GoGo Cast Inc. from inception to the industry leader they are today, made the choice for the appointment of our managing director simple. There is no doubt that he is the right leader to grow technology in Rhode Island,” Hummel concluded. “I am thrilled to be a part of Brickhouse Holdings technology initiative in the state, and will execute this opportunity with the same vigor I have with past technology ventures,” said David R. Paolo. “Having the opportunity to manage and help grow the technology sector in Rhode Island has always been a goal of mine,” Paolo concluded. Brickhouse Holdings LLC. is expected to begin its selection process in the third quarter of 2011 and will begin funding qualified companies in early 2012. Business plans can be submitted at the company’s web site www.brickhouseholdings.com. Brickhouse Holdings is a new generation venture, management and holding company for incubation stage companies. Brickhouse provides early stage seed financing as well as financial management, technology, guidance and facility resource sharing. Next articleWill corps of R.I. health reporters shrink?